You might think that cavities are inevitable for kids, but in truth, they’re not. A healthy diet mixed with good oral hygiene (brushing and flossing) plus regular dental visits can prevent tooth decay. Dental sealants can reduce the risk even more. In fact, studies show that dental sealants can reduce decay in school children by 70%. Dental sealants are thin plastic coatings that are applied to the grooves of back teeth, where tooth decay is usually a problem for kids and teens. Sealants act as a barrier between the chewing surfaces by blocking pieces of food and germs. Sealants work best on permanent molars, which usually erupt at age 12. It’s best to have sealants applied soon after the permanent molars erupt so that decay doesn’t have a chance to develop. Because they’re so thin, dental sealants won’t have an effect on your child’s speech or make chewing difficult. Sealants can be clear or slightly tinted; either way, they’re virtually invisible to the naked eye. Though they don’t take much time to apply, sealants can last 5-10 years. 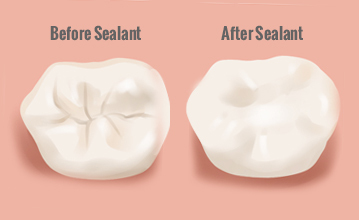 Dental sealants are some of the most comfortable, cost- and tooth-saving solutions around! 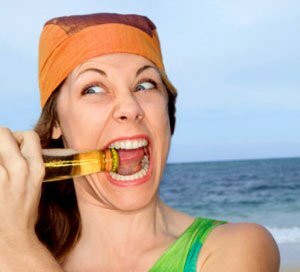 Did you know that a lot of little things you do (or don’t do) on a day-to-day basis affect your teeth’s well-being and may fall under a list of bad oral habits? These include not brushing or flossing enough, eating too many sweets too often, or even using your teeth to open a bag of chips. Floss at least once a day. It helps remove bits of food and dental plaque in places your toothbrush can’t find, helping to keep your gums healthy. Brush at least twice a day. If brushing is not an option, chew sugarless gum (make sure it’s sugarless!) for 20 minutes after a meal or snack. This helps prevent tooth decay. Clean your tongue. Regularly cleaning your tongue with a toothbrush or a tongue scraper helps remove the bacteria that causes bad breath. Replace your toothbrush regularly. Replacing your tooth brush ever 3-4 months is a good idea. Bristles in your toothbrush that are bent and broken don’t do a good job cleaning your teeth. Eat a balanced diet. Snacking on sweets without brushing increases the acid in your mouth… and the likelihood of tooth decay. Munch on vegetables and fruit instead. Regular Dental Visits. Your dentist is trained to do damage control in your mouth before it’s too late. You should visit the dentist regularly — every six months. Adding these to your list one at a time is a good start to kick those bad oral habits. By doing a little self-check on your daily dental care habits, you can be on your way to making sure your teeth, your mouth’s health and your overall health are at their best. Unless a problem is suspected, we would like to see your child after his/her primary teeth erupt into the mouth [24-36 months]. The most important goals of this first visit are to introduce your child to the office surroundings and to develop a trust in the dentist and our staff. We view this visit as an icebreaker. If your child is too frightened, uncomfortable or uncooperative, we may have to re-schedule several short visits. You will be charged a reasonable fee for the time. Please do not try to explain the first visit yourself. Do not use phrases like “Be brave!” or “Don’t be afraid”. Don’t offer them a bribe with special treats to get them to the office. Rather be positive and reassuring that the visit will be fun and one in which to look forward. The appointment should be 15-30 minutes and may include necessary x-rays, a gentle, comprehensive examination of the teeth, gums, jaws, bite and oral tissues. This is both to observe any problems and to establish a baseline so we can monitor your child’s growth and development. 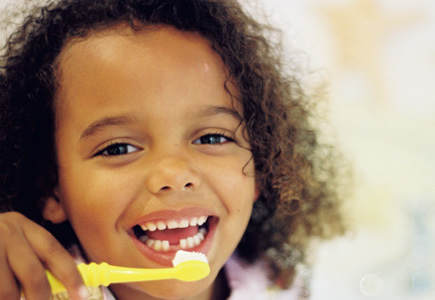 Depending on your child’s age and cooperation, we may also clean and polish their teeth and apply a topical fluoride. Please bring to this first appointment any of your child’s medical records. We will try to discuss and answer any questions you may have at that time. Our objective is to be gentle and patient so your child develops a positive attitude towards the dental office and their own oral health. Our long-term goal is prevention and minimizing and dental problems for him/her as they mature. Xylitol is a white crystalline substance that looks and taste like sugar. It is found naturally and can be extracted from birch, raspberries, plums, corn and mushrooms. Technically it is not a sugar but a sugar alcohol that is sometimes called wood sugar or birch sugar. Our bodies produce up to 15mg everyday as part of normal metabolism. The great benefit of Xylitol in preventing tooth decay was “discovered” in Finland in the early 1970’s. Streptococcus Mutans, bacteria found in the mouth, produces toxins and acids that can dissolve teeth when foods with refined sugar [sucrose] are eaten. 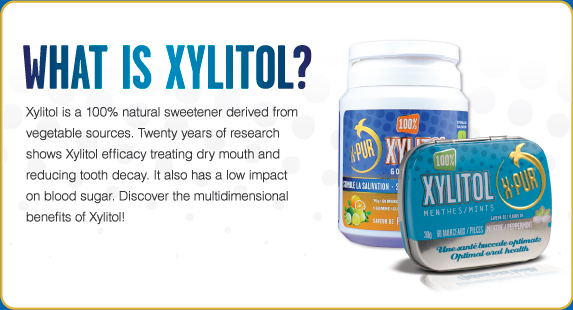 Xylitol is not fermented by oral bacterial, so it cannot cause cavities [caries]. It works its magic on many levels. Therapeutically, Xylitol is added to chewing gum or candy. The dosage is critical. To receive tooth decay prevention benefits, you must receive 6-10 grams of Xylitol per day. When reading the label of a Xylitol containing product, Xylitol should be the first sugar listed and, ideally, the only sugar component. To be effective, the Xylitol gum must be utilized several times a day over long periods – 6 months, 1 year and 2 years. Xylitol is also to added to some oral hygiene products such as toothpastes, mouthwashes, floss, fluoride supplements. 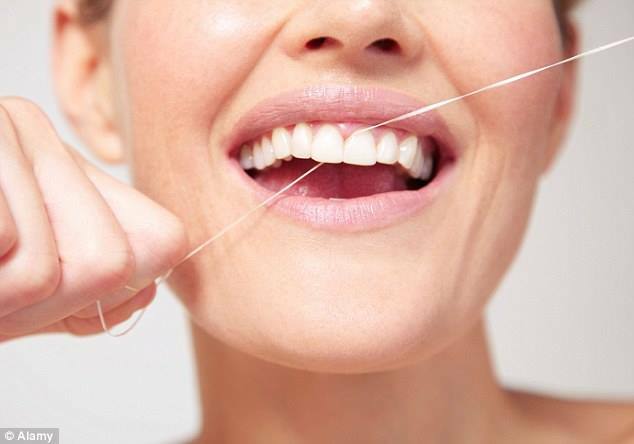 Chewing Xylitol gum after meals is a great alternative when brushing or flossing is not an option. Anybody who is at high risk for dental decay such as people with dry mouths or those with exposed tooth root surfaces should consider this decay prevention therapy. On a precautionary note – excessive chewing could lead to headaches and/or pain in the TMJ joint near your ear. Don’t over do it! Call our office for product recommendations. Getting your kids to eat fruit, veggies and yogurt instead of candy, chips and ice cream might feel like pulling teeth. But it’s important to encourage them to eat “smart” snacks to keep their teeth – and body – healthy. Set the tone. Your kids mimic what you do, so it’s important that you eat smart snacks too. 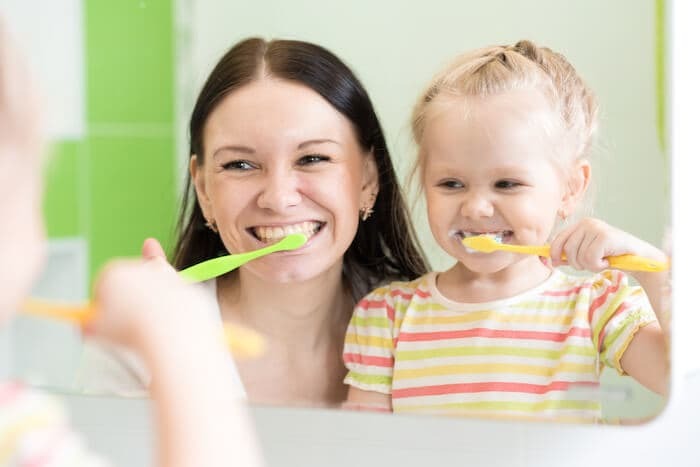 And be sure to practice good oral hygiene in front of your kids; if you brush and floss after meals and snacks, your kids will too. Get creative with snacks. Show your kids that healthy snacks can be fun! Prepare tasty combinations, such as apple slices with peanut butter, fruit smoothies, meat and cheese rollups, or yogurt sprinkled with granola and bananas. Keep your kids involved. When you make your grocery list, ask your kids to brainstorm about what kinds of food they’d like to eat. This is a good opportunity to help them understand what’s good for their teeth and what’s not. Then go grocery shopping together and teach your kids how to read the Nutrition Facts label so that they can check the sugar content. Prepare nutritious meals. Snacking smart is great for your teeth, but so is eating well-balanced lunches and dinners. Make sure to add fruits and vegetables to every meal so that your kids become accustomed to them. 1. Brighten Your Smile – Have stains removed. Your hygienist can remove stains caused by coffee, tea, sodas, and tobacco which can give you a bright, white smile! 2. Detect Dental Problems Early – Pay less! In many cases if dental problems are detected early, it will cost you less to have the problems fixed. Example; a smaller cavity needs a smaller filling and smaller fillings costs less than bigger fillings do. Waiting to take care of a dental problem will not only cost more, but it can lead to other problems as well. 3. Prevent Periodontal (Gum) Disease – During a cleaning appointment, your hygienist will remove plaque and calculus build up, which are irritation factors that can lead to gum disease. If your gums bleed and you have bad breath, it’s possible you may be suffering from gum disease which is a leading cause of tooth loss. , 4. Maintain Good Physical Health – Research has shown, and experts agree, that there is an association between periodontal (gum) diseases and other chronic inflammatory conditions, such as diabetes, cardiovascular disease and Alzheimer’s disease. Therefore, treating inflammation may not only help manage periodontal diseases but may also help with the management of other chronic inflammatory conditions. 5. Clean Only The Teeth You Want To Keep – Yes, that’s right. If you are planning to keep your teeth for the rest of your life you need to have them cleaned. If not you may end up with gum disease which, as stated earlier, is a leading cause for tooth loss. 6. Oral Cancer Screenings -The American Cancer Society’s most recent estimates for oral and oropharyngeal cancers in the USA for 2011 states that about 34,300 people will get oral cavity or oropharyngeal cancer. Of that number, an estimated 6,900 people will die from these cancers. The average age of most people diagnosed with these cancers is 62, but they can occur in young people. They are rare in children, but about one-third occur in patients younger than 55. 7. Prevent Bad Breath – A dirty mouth means stinky breath! Dental plaque that accumulates on and around a person’s teeth holds bacteria that creates the waste products responsible for causing bad breath. Gum disease also produces a very strong odor! 8. Create A Treatment Plan – A visit with your hygienist not only means cleaning your teeth, but other factors that may be present in your mouth are also identified. A plan for treating your teeth so they are restored to optimal function will be given to you, and appointments will be scheduled so we can get your mouth in top working order. 9. Take Advantage of Dental Insurance – If you’re paying for dental insurance and not going to the dentist, you’re throwing your money away. Many insurance companies will pay for preventive visits, which includes cleanings, at 100% of the cost. Take advantage of the benefits offered to you so you can have the best oral health possible.